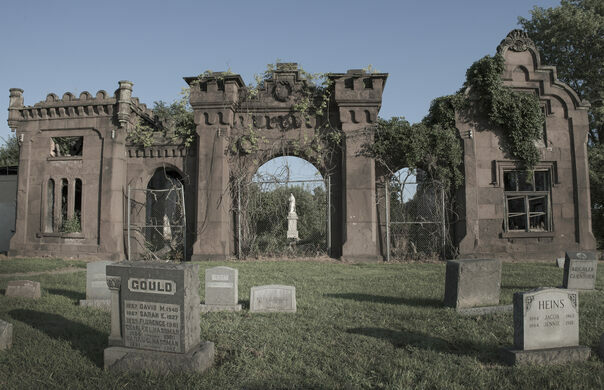 Half an hour south of Philadelphia, the abandoned Mount Moriah Cemetery is steadily being reclaimed by the forest it was once built on. 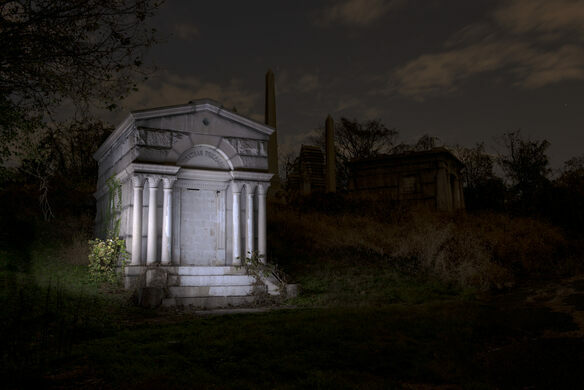 Opening in 1855, it had an ornate Romanesque entrance and gothic mausoleums that rivaled the great cemeteries of Greenwood in Brooklyn, and the famous Pere LaChaise in Paris. 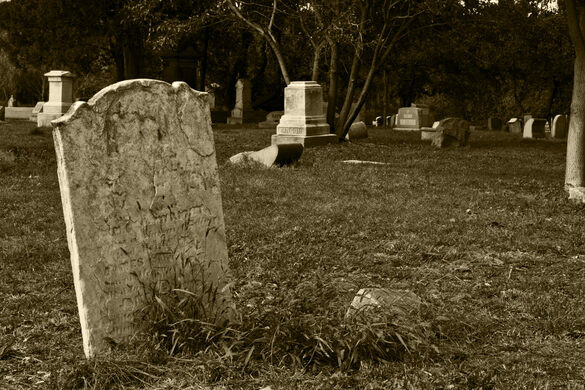 Eventually expanding to nearly 400 acres, it was Pennsylvania’s largest burial site. 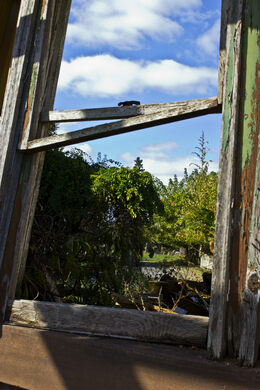 What’s perhaps most unusual about the cemetery is that no one actually owns it. 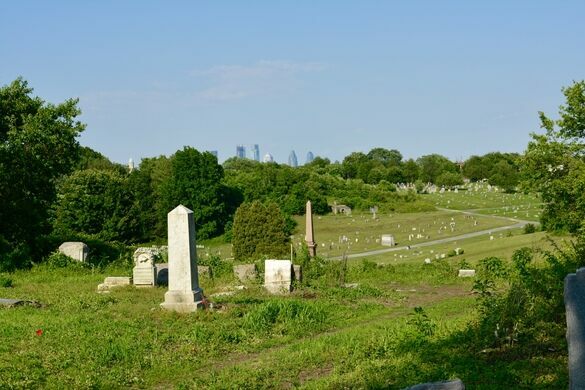 When the last member of the original governing Mount Moriah Cemetery Association passed away a decade ago, the already neglected cemetery was left abandoned. Today it is largely forgotten. 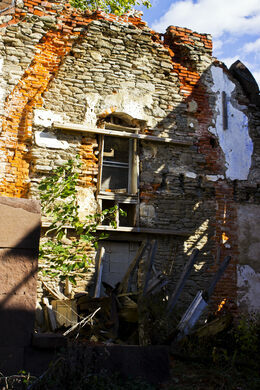 The grand brick entrance lies in ruins, the headstones and monuments have toppled over, and the forest is gradually covering the grounds. Mausoleums that hold some of Philadelphia’s wealthiest Victorian patriarchs are starting to resemble a sort of rambling gothic fairytale. 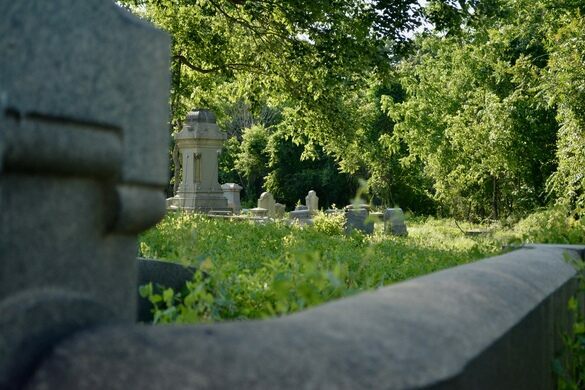 Trying to combat Mother Nature, the local non-profit Friends Of Mount Moriah are devoting their time to clearing weeds and creating pathways through this overgrown and forgotten cemetery. 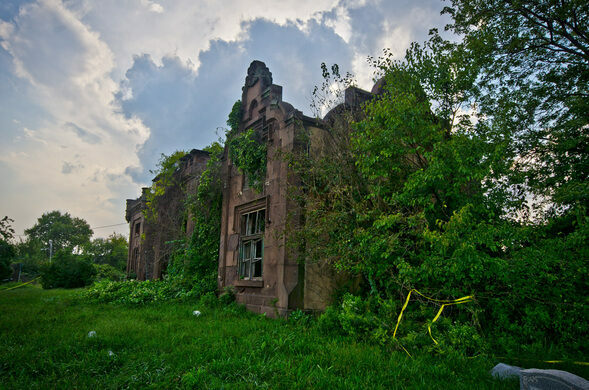 But with so much land to contend with and little or no funding, the task is Herculean—walking through Mount Moriah today, you could easily think you were strolling through the ruins of an ancient Greek city rather than the final resting place of tens of thousands Pennsylvanian families. Update May, 2017: Although there is a good bit still overgrown, it is being cleaned up as of the spring of 2017. A desert settlement founded and later abandoned by Mormon Hawaiians in Utah's Skull Valley.